Our body massage kits contain a variety of goodies to spoil and relax. 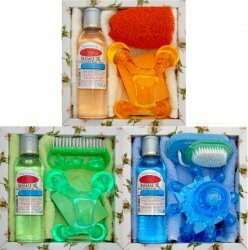 Usually included are 125ml Massage Oil / Soap / flannel / loofa / nail brush / bath oil / crystals / candle / massager. Other items are sometimes substituted depending on availability.